HGA San Jose recently moved into a new 13,000-square-foot corner office at a prime intersection downtown. 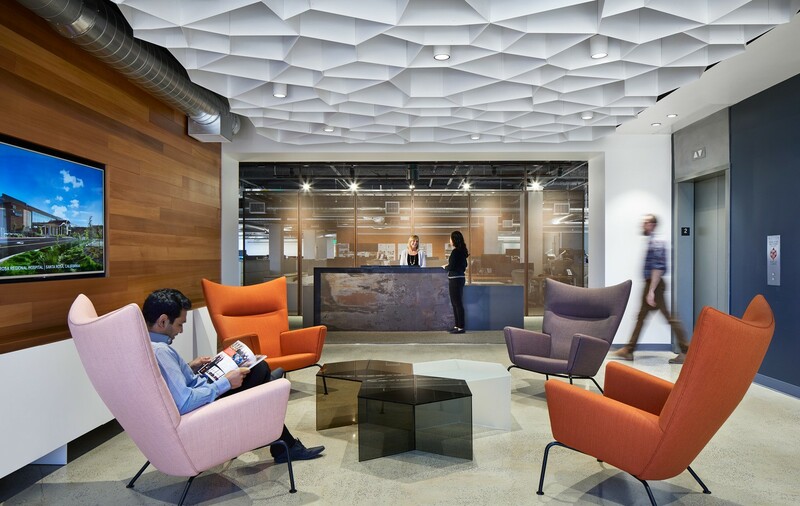 The sleek workplace promotes a residential feel with open-plan workstations, comfortable seating areas, and shared conference rooms and community spaces along the outside-facing walls. The San Jose Business Journal toured the office. Take a sneak peek with this Slideshow.